I’m definitely not in the minority when I say 2014’s Michael Bay-produced Teenage Mutant Ninja Turtles was not the reboot we’d hoped for. 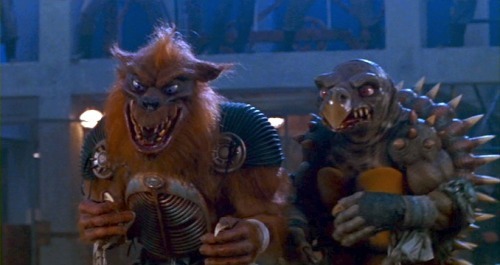 But after checking out last night’s Super Bowl spot for this summer’s Teenage Mutant Ninja Turtles: Out of the Shadows, the sequel is starting to look a little more like vintage TMNT. There’s a lot going on in this nostalgia-filled 30-second spot, so let’s break it down. First off, Raphael doesn’t want you to forget the three most important traits of the ninja. But that’s not what fans are really jonesing for. We want to see some of our most beloved characters in action. Like Casey Jones (Arrow’s Stephen Amell) taking a slapshot at your face. Go New York Rangers! Don’t feel too left out, Michael Bay fans, the clip still managed to cram plenty of explosions and Megan Fox into just half a minute. Teenage Mutant Ninja Turtles: Out of the Shadows cowabungas into theatres June 3. Watch the latest tease below.